Today I’m going to take those meatballs we made the other day and use them in a red gravy to make spaghetti and meatballs. 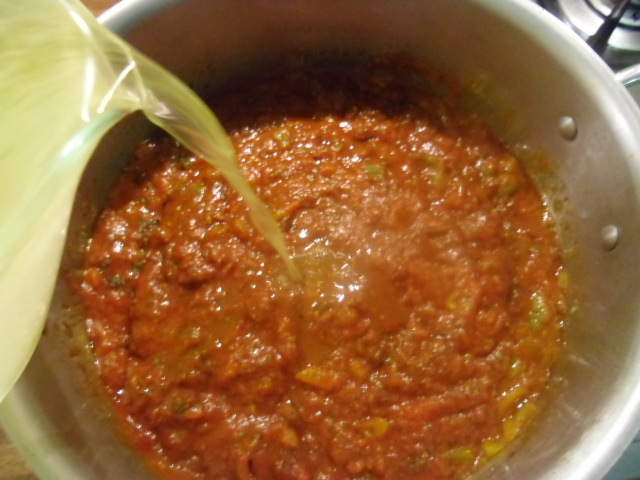 Everyone I know loves this dish, and I’m sure you’re sure to love my MawMaw’s recipe for red gravy. 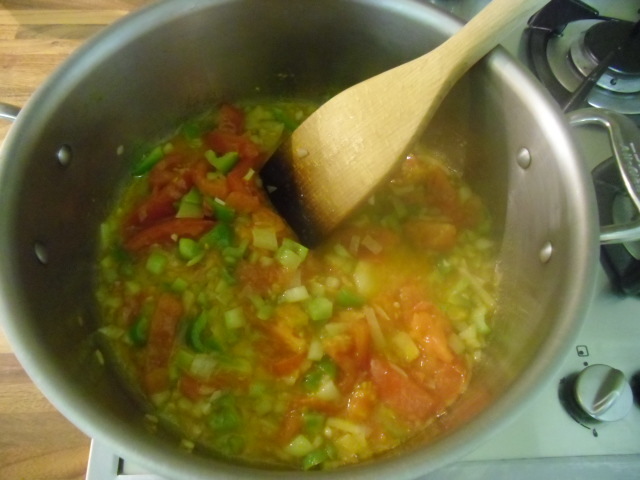 Sauté the vegetables in the 2 T oil over a medium heat until the onions are soft and transparent, about 3 minutes. Add all of the above-listed ingredients (except for the broth) to the sautéed vegetables. Simmer over a medium-low heat, stirring frequently, for about 15 minutes. Then add the broth. Add these seasonings to the sauce. Raise the heat and bring to a boil. Then lower the heat to low and simmer ingredients for 30 minutes. MawMaw always let the sauce and meatballs simmer for 4-5 hours to give the flavors a chance to blend. 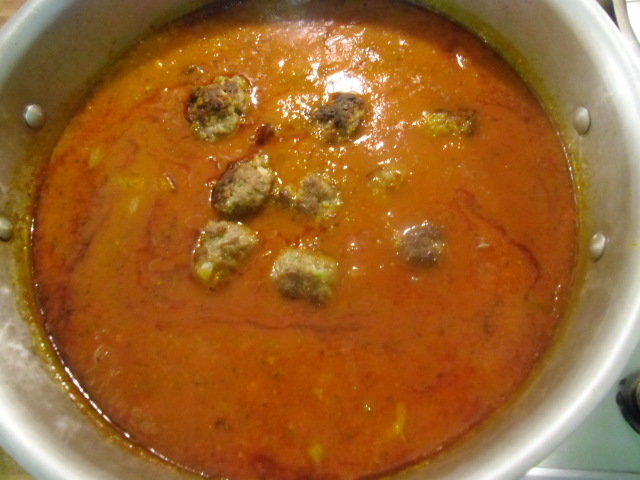 The sauce became a deep russet color and the meatballs became sooooo tender. When I prepare this dish on a weekend, I do the same, but if you don’t have time for this, after the sauce simmers for 30 minutes, add the meatballs and simmer for another 30 minutes. 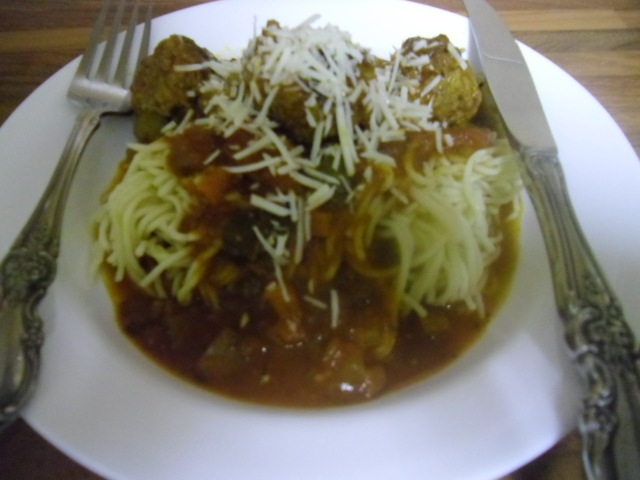 Garnish with grated Parmesan cheese for a hearty meal.